Next to offering Feel The Love as a free download as a way of saying thanks to all of his fans for the massive support he has received throughout his career, Fedde has additionally decided to give away the parts to Feel The Love. This might be the opportunity of a lifetime for all young DJ's / producers trying to find their way…. After the release of Detroit you guys pushed me into the top 30 of the DJ Mag top 100 and you've kept me there ever since. I can't tell you enough how much your ever-growing support means to me!!! 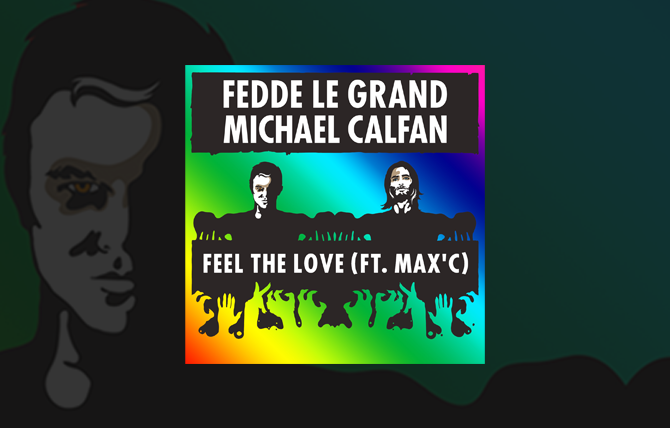 As a massive THANK YOU here is the vocal version of Lion (Feel The Love) my collaboration with the amazingly talented Michael Calfan and vocals courtesy of Max'C for all of you to download. For all of you young and upcoming talent out there, I've decided to additionally give away the parts to Feel The Love. The best remixer will win the opportunity to select his / her own top unreleased production to finish up together with my help!!! The final result will be brought forth as a solo release on Flamingo Recordings!!!! Go get yours here !!! You can find the current top 10 right here but there is still one week of voting left!!! As I’ll pick my top 3 and eventually the winner from your top 10 selection you better make sure it’s top of the line ;) Vote your top 10 by adding likes to the mixes that you feel are top 10 worthy.